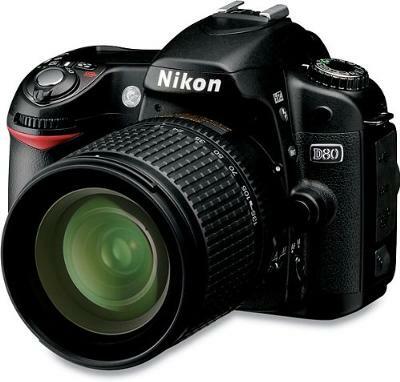 I own a Nikon D80 Digital SLR Camera and my brand of choice has always been Nikon. I've been using them since my dad bought a cheap 35mm one home when I was nine or so. I’ve always been a fan of how sturdy and well built the camera was and when I was ready to make the step to a digital SLR, the only choice I could possibly thing of was Nikon. I researched which model I was going to go with and finally settled on the Nikon D80 due to already having memory cards that were compatible for it and the fact that while they won’t autofocus, my old Nikon lenses would work flawlessly on the new camera. I shopped around and found that Penn Camera had the best price for someone who needed instant gratification. The salesman talked me into not only getting the camera but the 17-55mm f/2.8 lens as well, my what satisfaction I’ve received from this lens and camera combination. The amount of megapixels is equivalent to most other high-end cameras however; that wasn’t my reason for purchasing, no, the way Nikon handles color is the reason I knew I had made my choice correctly. The camera itself is sturdy and well built. The autofocus is very fast and like other cameras, the better the quality of lens, the better the output of the camera itself. The Nikon D80 digital camera though has one fatal flaw, but that’s with most Nikon products is that it tends to underexpose when at high ISO’s and while this is an easy fix in a photo editing tool, if you don’t know this, you might be at a loss for why it’s doing so. I still use this camera since well, I bought the best lens I could afford when I bought it and yes even though other newer bodies have been released, I personally see zero reason to upgrade. The Nikon D80 camera isn’t too heavy nor too light and well honestly, I think it’s best for what I’m trying to do. As far as where it’s excels, a lot has to do with the lens attached. A quality fast lens will allow for better indoor or low light applications. As far as with the kit lens, it’s a standard kit lens and nothing extremely special in my humble opinion. I personally think that if you were to buy a Nikon D80 Digital SLR Camera you certainly will be happy with it, it takes beautiful pictures of my new born and dogs and everything else I can find.